Kyle Pepper started out mixing at the age of 18, when he was introduced to the skills turntables could be used for by a close friend. Having a passion for music, he practised relentlessly mastering the art of mixing on Vinyl turntables, before progressing into the digital world. Through his teens he drew influence from all types of music, especially the sounds of trance, after discovering it at the well renowned nightclub of the Dance Academy in his hometown of Plymouth, where he heard it on a weekly basis. After supporting and attending many events in his home county, Kyle sent a mix CD he recorded into well established record label and event promoters Liquid Pulse, who booked him for one of their events supporting Mark EG and Lab 4. The promoters were impressed and he was asked to play again on a frequent basis, with all three promoters of the event noting his passion for trance music in the broadest sense. 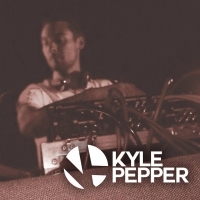 Since then his popularity has soared and Kyle plays various events all around the South of the UK, with brands such as Sequence, Crash Manor Presents, Liquid Pulse, Ignition and many more booking him to play. Kyle's drive doesn't just limit him to playing out in a nightclub, his debut 'Existence' was released on DJ Madwave's Phoenix Recordings label and was supported by many leading DJs across Europe. 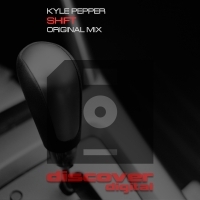 Soon after the follow up 'Short Circuit' was signed by the prestigious Monster Tunes imprint, and his third single 'Shift' is signed to longstanding trance label Discover. There are other remixes and solo productions forthcoming. Kyle records the monthly podcast series 'Digital Existence' which has an increasing listenership and has received syndication interest, and is looking for opportunities to play the music he loves all around Europe!